Guess what guys! It's officially Christmastime, my favorite time of year!!! It is always a struggle for me to wait until after Thanksgiving to start getting excited, but we have to show Turkey Day a little love! 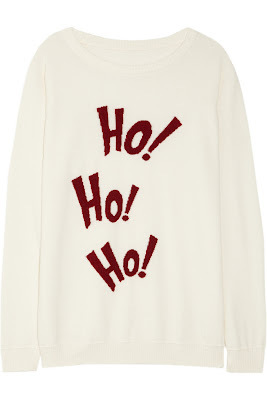 Anyway, last week Net-a-Porter released a bunch of exclusive Holiday Sweaters by designers like Stella McCartney, Marc Jacobs, Phillip Lim and more! Here are the ones I like best (click on the images to go to the product pages), check them all out here! The third and the fifth are adorable! Wow, that last one is a little nuts! 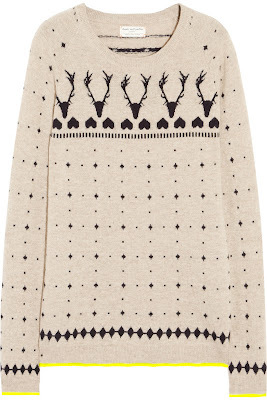 But I do love the stag one. Lovely sweaters. I love the prints. 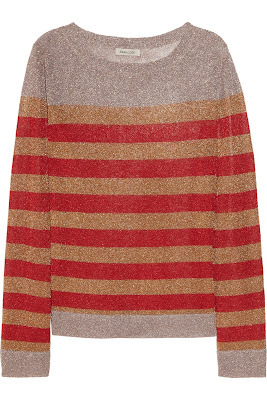 metallic stripes for me please! I always go for the glitz! Adore the striped one at the top! I wish it was cold enough here that I could justify more sweaters! I've bought my one for the year lol. I love the tan & black sweater with the neon yellow trimming!! So fun! 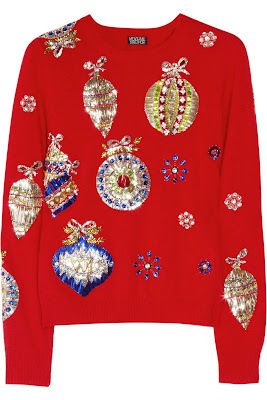 When I think of a christmas sweater I always think about the ugly ones from the Bridget Jones movie but these are amazing!! I want them all!!! I love the grey one with the white snowflakes on it! Those are some cute sweaters. 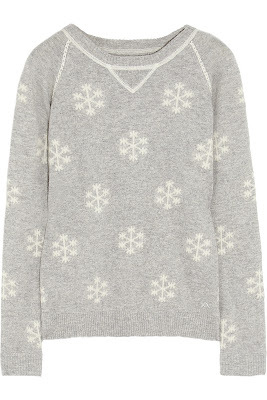 I like the gray one with the snowflakes! I absolutely need one of those! 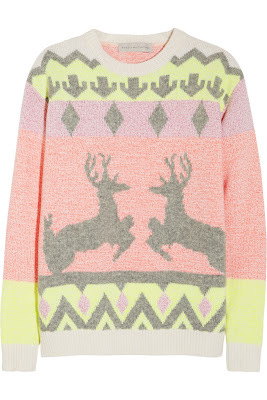 The very first sweater is sooo cute!! Aww, these are so cute! I love special collections like these. I seriously need more sweaters too. Oh yes, definitely too good for an ugly sweater party - these are so pretty! I will be honest with you that I don't think I've worn a "holiday" sweater since my great aunt gave me one that she knitted with a snow scene and a snowman when I was in 5th grade. 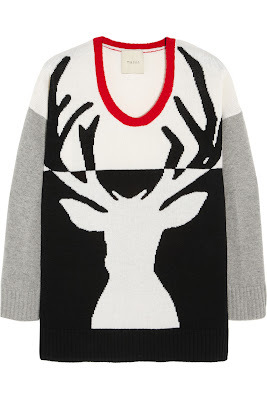 However - I do love the deer sweater by Mason... or the striped Emma Cook. 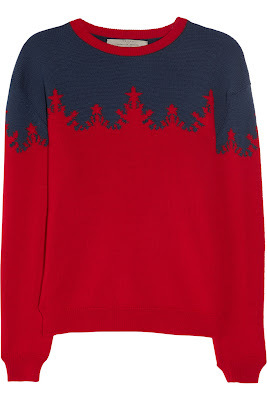 Dang - now you got me swooning over holiday sweaters?! Oh man, I need all of these. The third and fifth ones are my favorites! love the reindeer one so much, haha! 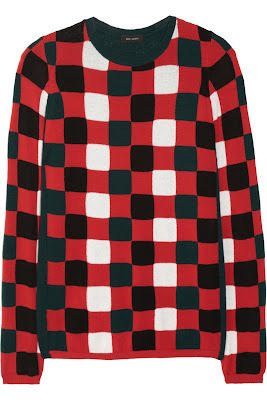 I adore cozy holiday sweaters! I LOVE your sweater picks! I would happily wear every single one this winter! 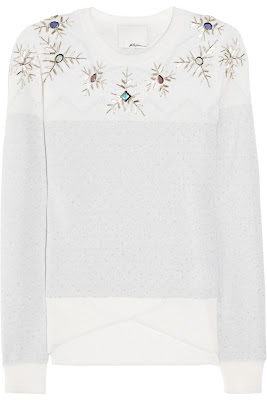 Summer is coming so the sweaters are my last concern of the list!! Yeah for dresses and bare legssssssssss!!! very cool sweaters! totally love your picks!